Do you dream about mentoring young people and making an impact on the next generation? Then a career in elementary education could be exactly what you’re looking for. 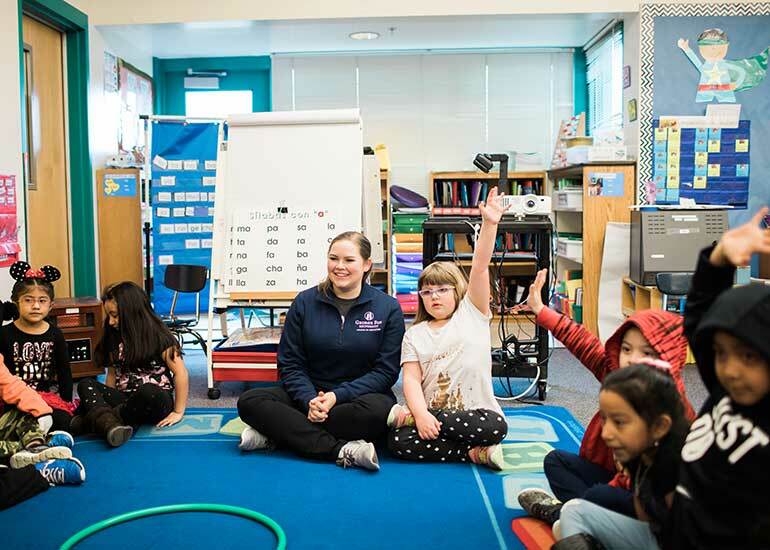 Our elementary education majors go on to work in elementary and early-childhood programs throughout Oregon and the rest of the country. A bachelor’s degree in elementary education also prepares you for a career of influence. Many of us remember our elementary school teachers and can appreciate the impact they had on our lives. For this reason, few careers offer such rewarding life experiences. Many universities only offer a graduate-level fifth-year program in elementary education. At George Fox, you can achieve initial licensure for elementary education – at the early childhood and elementary levels – by completing our four-year program and passing the required tests. Course work and training for the English for Speakers of Other Languages (ESOL) endorsement is also embedded to add to your qualifications and teaching license. This endorsement is highly sought after in school districts across the country and will greatly increase your employment prospects. What further distinguishes our program is the fact we offer a Christian college environment that encourages not only academic – but spiritual – growth. Request more information about the elementary education major at George Fox University or schedule a visit to begin your education at Oregon's Christian university, ranked as one of the top Christian colleges in the nation by Forbes. Job prospects are best for teachers in high demand fields such as math, science and bilingual education, and in less desirable urban and rural areas. The Bureau of Labor Statistics reports that employment for teachers at the K-12 levels is expected to grow 7.6 percent through 2026, with a large number of jobs becoming available as older teachers move into retirement. Teacher, Mabel Rush Elementary, Newberg, Ore. Teacher, Memorial Elementary, McMinnville, Ore. Principal, Linus Pauling Middle School, Corvallis, Ore. Teacher, Lincoln Elementary, Woodburn, Ore. Teacher, Harrisburg Elementary, Harrisburg, Wash. 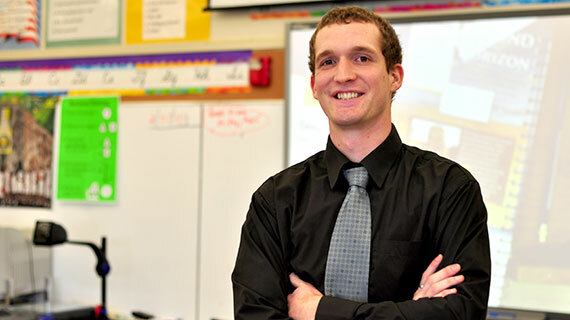 Teacher, Newby Elementary, McMinnville, Ore.
Teachers in districts throughout Oregon, Washington, California, Idaho, Alaska, Hawaii and across the U.S.
"Six years after graduating, I still feel a strong connection and support from the George Fox faculty. They were always accessible and approachable, helpful and supportive, and pushed me to be the best teacher I could be. What impresses me most is that didn’t stop once I graduated and entered the teaching profession. Their dedication and passion is unmistakable, and it is clear that they measure their success by the success of their students." "George Fox University thoroughly prepared me to be a teacher. I was able to find a teaching job immediately, and have just finished my first semester teaching fifth grade in Central Oregon. The preparation that I received has helped me feel confident and knowledgeable during my first year as a teacher. I feel very fortunate for the great experience that I had at George Fox." ESOL coursework embedded within the four-year elementary education program to better meet the needs of all students and improve your standing in the job market. Opportunity to gain field experience by engaging in after-school program at local elementary school. Build close relationships as part of a cohort that includes 20 students or fewer. Develop a strong foundation in general education subjects: literature, history, science and the arts. Receive placement as a student teacher in a co-teaching environment (last two semesters).